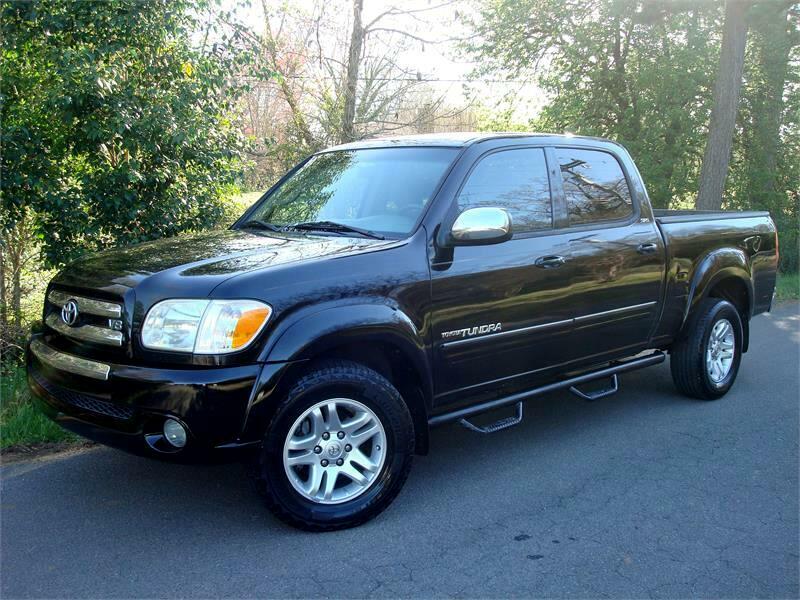 The 2006 Toyota Tundra is offered in the Double Cab body style with a 6.1 foot bed. The Tundra comes comes equipped with a 271 horsepower 4.7-liter V8 with a five speed automatic transmission. Safety features include driver and passenger-side airbags, ABS brakes, traction control, daytime running lights and auto off headlights. It comes in black over beige interior with the SR5 trim level, also features step bars, bed liner & tow package.